Milgard has an extensive library of AutoCAD files, installation instructions, and technical documents to help make your project a success. At Milgard, we know how important it is to meet the needs of your customers. That’s why we manufacture quality windows and patio doors that can meet multiple price points and installation requirements. We offer a variety of styles, colors and frame options for new construction and remodeling applications, backed by a Full Lifetime Warranty. Delivery you can depend on. With multiple full-service facilities and customer care centers, we can provide you with faster lead and delivery times. Whether for a retrofit or new construction, Milgard recommends AAMA's installation instructions, which outline different wall conditions, flashing details and more in easy to download PDFs. Every window component is developed from hours of testing and attention to detail. 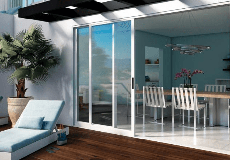 Through our precision, we offer quality windows and patio doors that are built for long-lasting comfort. Milgard is an ENERGY STAR® partner with products that meet or exceed U-Factor and Solar Heat Gain Coefficient (SHGC) criteria in the areas we serve. We stand by our products long after the project is complete. The Milgard Full Lifetime Warranty covers the homeowner as long as they reside in their home and transfers for 10 years from the start date to subsequent owners. Our factory-trained technicians will repair any defects in materials or workmanship free of charge, including parts and labor. Get easy to download PDF files and guides with step-by-step installation instructions that comply with AAMA guidelines. Milgard has an extensive technical resources library with AutoCAD files, installation instructions, product specs and much more! If you are a contractor, builder or industry professional and need assistance, our skilled technical staff is here to help. See our product series comparison charts to select the best product for your project.